Web development comes with a wide variety of different tools which you can find scattered around the Internet. Wouldn’t it be nice if they all were gathered in a single place? Wouldn’t it be great to purchase a single package and get all of the tools you might ever need to design a website? Sure, you can find absolutely everything you need on the TemplateMonster Marketplace, but all of the items are sold separately. You might need to shop around for a little while until you find all that’s right for you. There are thousands of themes, so which one should you pick? Making a decision when you have so much to choose from can prove to be a little bit of a challenge. This is where ONE comes in. With it, you don’t have to make such a decision. You simply get EVERYTHING you need and much, much more. You get all of it, basically. 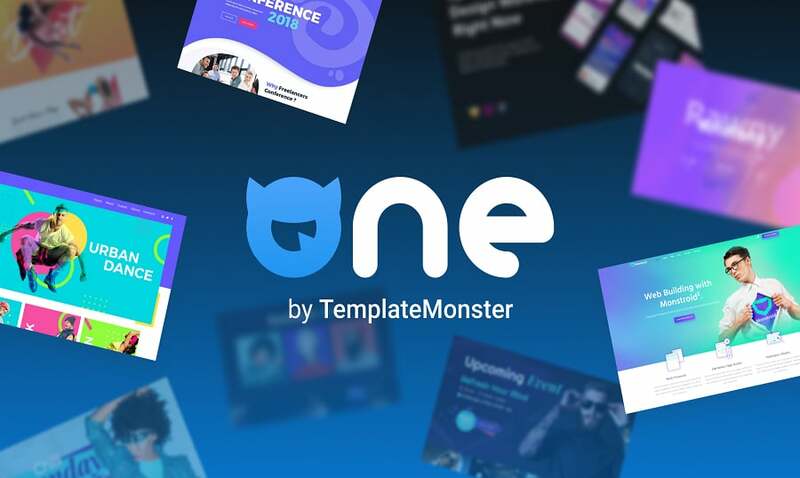 ONE byTemplateMonster is a brand-new subscription service granting you access to the entire collection of items from the TM Marketplace, all of which you had to purchase separately before. But now, by subscribing to ONE, you get TM’s entire stock and receive 24/7 support to go with it. The products provided with the subscription are all of undeniably professional quality. Of course, it includes all of the flagship templates and items. Monstroid2, Woostroid2, Eveprest PrestaShop theme, Multifly Shopify theme, Intense HTML theme, Magetique Magento theme, and Storeflex OpenCart template are all part of the bundle. ONE is a wide assortment of items like WordPress and eCommerce themes, photography Website templates as well as templates for all the popular content management systems. The sheer number of items available to you upon purchase is tough to comprehend and with time it will only grow. So, no matter how demanding your project is, you will definitely find the right set of tools to make it a reality. If you prefer visual page builders, you’ll be glad to find the hundreds of Elementor-integrated templates, Jet plugins and the assortment of graphics provided with the subscription. Along with the thousands of templates to use on your sites, you will also receive an unlimited usage license. That means you can use any of your items as many times as you wish, on as many pages you need for a whole year. And when that year is over and you choose not to extend your subscription, your site will remain running and you will still receive updates for your plugins. Sure, the amount of items is outstanding, but there are other subscription service out there. What makes TM’s ONE stand out from them? Getting the package, you will also receive 24/7 support for all items on the list, so even if you’re a beginner in the field of web development, you can always ask the support teams for help and use the tools at your disposal to their fullest potential. 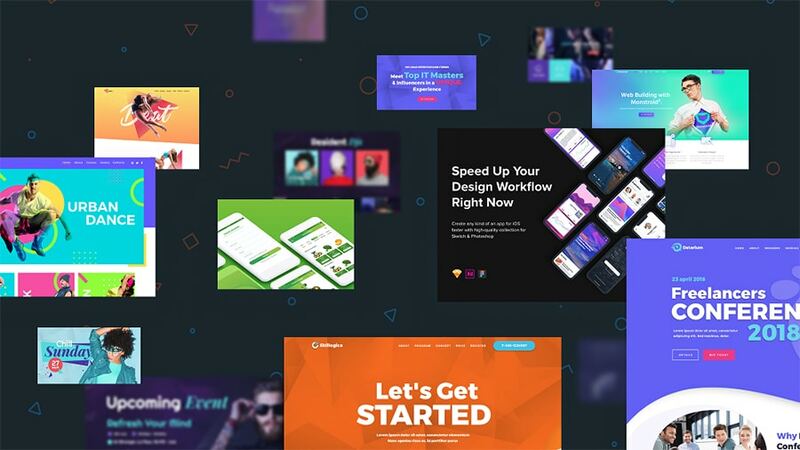 In addition to templates and the more tangible things related to web design, the subscription also gives you access to a wide range of services to help you out with your website, even if you have already built one. Some of those services are server maintenance, SEO improvement, template installation, customization and even performance optimization. If you’re not sure how to do all of those things by yourself, you should definitely consider giving TM’s teams a go. There is already enough content to make the package impressive on its own, but TM plans on adding around a hundred items monthly, making the subscription even more profitable with time. ONE will keep you up-to-date with all the latest trends and technologies. If you purchase the subscription and struggle to find what you need between the countless items, you can cancel it and get your money back. There is one condition though: you can only cancel it within 14 days from the initial purchase and if you haven’t downloaded anything from the library. That way you can’t take advantage of the system and the people who changed their minds or didn’t find what they were looking for could still cancel. One is going to be available very soon, and for those of you who have already decided you need it, there is an opportunity to pre-order it and cut a third of the price off. Will ONE Be a Reasonable Choice? Absolutely. If you’re looking to purchase multiple products anyway, it makes more sense to get them in a single package rather than buy them all separately. A single-site-use template costs around $75, and getting an extended license to use it on multiple pages would bump the price up to as much as $145. Plugins, graphics and other elements can prove quite costly as well. So, if your project is quite demanding, ONE is an absolutely amazing solution. Look no further and get everything you might ever need and more, in a single bundle. Don’t spend extra time and money looking for separate items and instead get it all in ONE. What’s Behind Monstroid, a Multi-Purpose WP Theme From TemplateMonster? 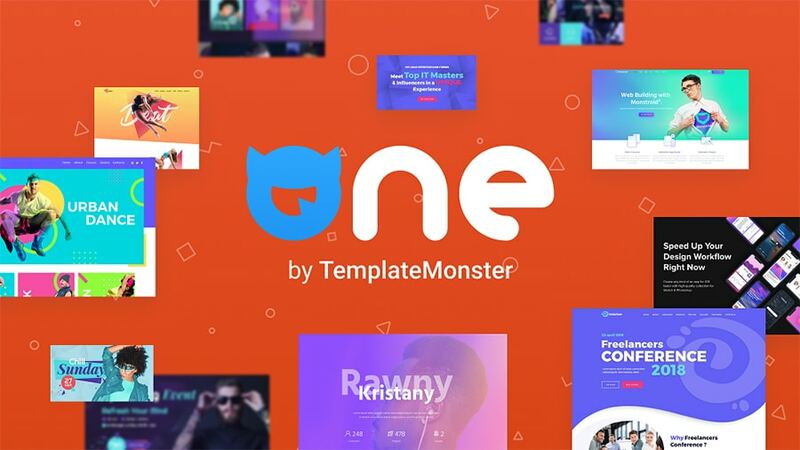 TemplateMonster Giveaway – Joomla Templates to 3 Lucky Winners!